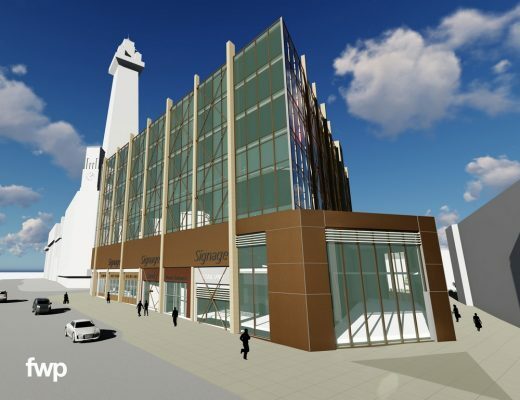 Leading structural engineering specialist TRP Consulting has been appointed to work on the creation of Blackpool’s first five-star hotel which will be built in the shadow of the resort’s iconic Tower. TRP Consulting specialises in providing civil, structural and environmental engineering consultancy services and will be using all its experience to help deliver the striking new hotel on the famous Prom. Its structural engineers have a strong track record of delivery on large complex building works and have widespread expertise in the leisure and hospitality sector. They will be working with builder Warden Construction and architects Frank Whittle Partnership (FWP) to deliver the new Sands Venue Resort Hotel on a site that sits in one of the busiest and most-visited areas of the UK’s favourite seaside destination. The multi-million pound development is the latest in a series of major hotel contracts that TRP has been appointed to. They include a new hotel that is currently under construction at Doncaster Racecourse – the Yorkshire home of the world’s oldest ‘classic’ horse race. TRP is also part of a multi-disciplinary team working on plans to redevelop and re-open the Grade II-listed Park Hotel in Preston – originally built as the sister hotel to Manchester’s famous Midland. In Blackpool, The Sands Venue Resort 96-bedroom hotel and leisure development represents a significant move up-market for the Lancashire resort’s hotel sector and is due to open in summer 2019. It will have large penthouse suites on the corner aspects of the building to provide spectacular views out over the Prom and the Irish Sea. The hotel is being created by development firm Coolsilk. TRP Consulting Director Geoff Wilks said: “This is an exciting project for Blackpool and we’re looking forward to playing our part in what will be a real step-change for accommodation in the resort. The project includes a vertical extension to an existing building in a sensitive planning area next to Blackpool Tower. Right on the seafront, there are also environmental and weather challenges that will have to be faced. Geoff says the team is working to overcome those challenges, which also include access to a confined the site during the construction stage. He said: “When it comes to the building, we are looking at creating a lightweight vertical extension. A steel framed structure will form the exoskeleton around the existing building. “Exposed diagonal bracing will mimic the Tower’s structure and transmit horizontal forces to the existing basement walls. “Internal floors will be put together from small components that can be lifted into place without continued reliance on cranes, because of the impact of the wind off the sea on the lifting process. He says the Blackpool hotel plan is another sign of the buoyancy TRP is seeing in the hotel sector across the UK. Geoff added: “We are currently working on a number of developing hotel and leisure projects, with more in the pipeline. It’s a very encouraging picture. 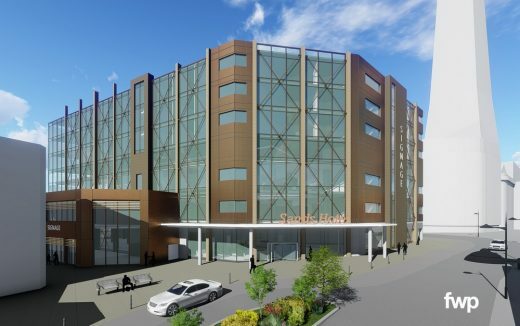 Construction work on the 154-room Hilton Garden Inn at Doncaster racecourse started earlier this year and the hotel is scheduled to open next summer. The hotel will enhance Doncaster’s growing reputation as one of the county’s leading conference venues – and will include a new first-floor event space boasting extensive views over the historic racecourse. Racecourse owner Arena Racing Company (ARC) says the hotel marks “a new era” for the course, which hosts the St Leger every September. TRP has helped successfully deliver leisure and sporting developments across the UK and was part of the project team that delivered the impressive new main stand at Doncaster that has won widespread acclaim since opening in 2007 a part of a £32m revamp of the racecourse. The practice, with its headquarters in Manchester’s Northern Quarter and an office in Preston, was established in November 2000 and has demonstrated the ability to deliver high quality consultancy services on major projects in both the public and private sectors. It has carried out work on building and design projects for companies and organisations in sectors ranging from advanced manufacturing and aerospace to the health service. In the leisure sector TRP Consulting is also helping deliver the first phase of the ambitious £20m redevelopment of Newbury Racecourse.